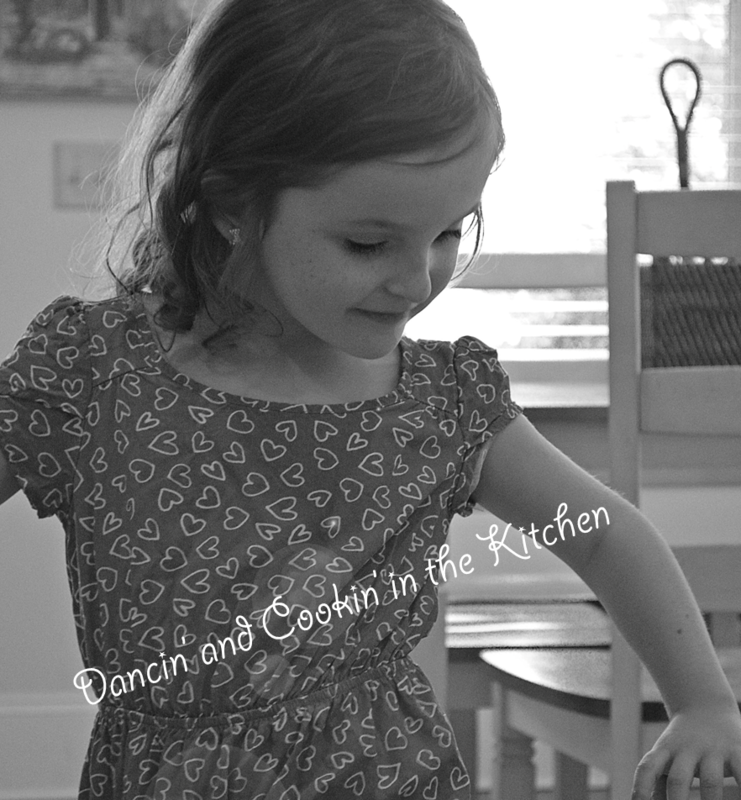 Easy Salmon Steaks – Dancin' and Cookin' in the Kitchen! ok, time for some honesty here. I LOVE to cook, and I feel like most of the time, I’m pretty good at it. But, like most people, I have weaknesses. Fish is one of those weaknesses. I recently learned how to properly cook white-fish (aka: tilapia, dover sole, etc). Salmon, is a whole other ball game. Seriously. There are so many different thicknesses of steaks, and cuts etc… so when it comes to cook time, it’s so hard to judge. You also have to time it JUST RIGHT, to take it out of the oven where it’s SLIGHTLY undercooked, and then let it rest in the juices to get just right… and not over cooked. Tonight… I slightly over cooked it. This recipe is REALLY good… if it wasn’t over cooked. Seriously… I’m working on it! Don’t feel bad if you fail the first time! Oh, and the dill? Just for the pretty picture… not used in the recipe at all! Combine the first 4 ingredients in a gallon-size ziploc bag, shake it up, and then add the salmon. Allow to marinate in the refrigerator for an hour, turning after half an hour. Pour the salmon and the marinade into a baking dish and bake in a 350 degree oven, covered with foil, for 15 minutes. 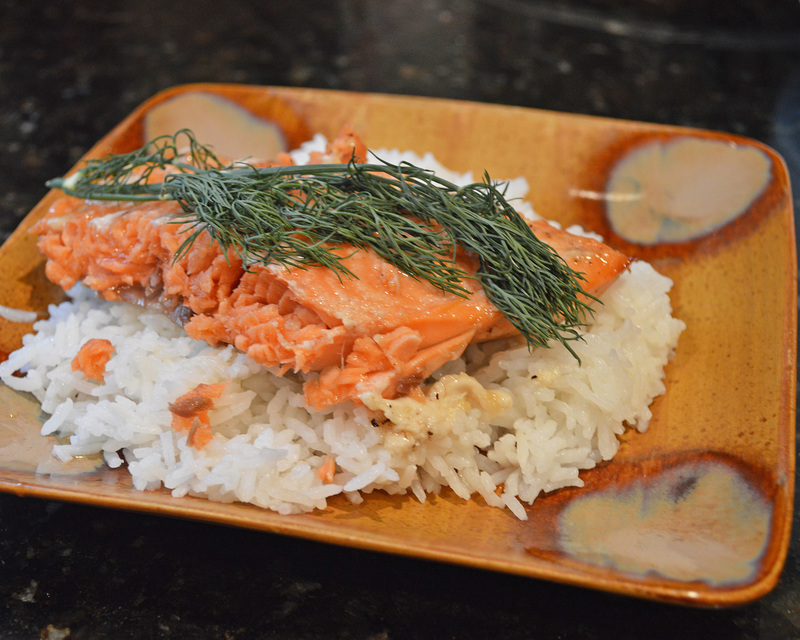 The salmon is done when it flakes easily at the thickest part. Enjoy! Makes (4) 3 ounce servings. Make sure to pull the salmon out BEFORE you see the milky-white substance seeping out! That means it’s over cooked. Right when it’s starting to flake, and let it sit in the marinade for 5 minutes. Double check it’s “done-ness” and enjoy! This entry was posted in Main Dish and tagged garlic, honey, salmon. Bookmark the permalink.